May is Mental Health Awareness Month. Mental health touches the lives of 1 in 4 Americans. Unfortunately, mental health issues have continuously been left unspoken and considered taboo to most individuals across various communities. However, more and more individuals are being encouraged to speak out about their experiences with mental health. 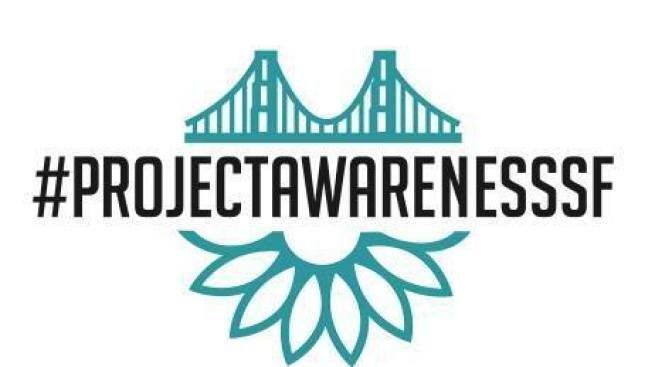 Project Awareness SF is an organization dedicated to spreading awareness for mental health and lowering the stigma associated with mental health disorders. This weekend, on May 16, 2015, they are asking volunteers who want to help this cause to wander around Dolores Park, Union Square, 16th and Mission, and Powell Street Bart Stations distributing single stem flowers and postcards containing various mental health facts and local resources to the public. In return, individuals are encouraged to take photos with their flowers, share their stories, and post them on their social media sites with the hashtag #ProjectAwarenessSF.